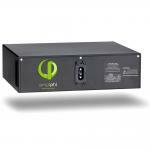 outback inverters, buy the best from the best "the solar store" thank you for a quick response and delivery. Dish out power to your electrical appliances when you're outdoors or in the middle of a power outage with the UPG Adventure Power Solar Generator Kit. Equipped with four AC receptacles and two USB ports, this product can power a very long line of electronic appliances and devices with energy it acquired from wall outlets or the sun. And because it's easy to transport, you can easily take this solar powered generator with you on your travels so you'll have access to power, anytime, anywhere. Since it doesn't require fuel to run, this portable solar generator will not emit fumes making it safe for indoor use and a perfect solar generator for homes, offices, RVs, mobile applications and disaster preparedness. Q: How many devices can connect to the UPG Adventure Power Solar Generator Kit? A: This solar powered generator has 4 AC receptacles and 2 USB ports allowing 6 devices to connect to it at once. Q: How much power will it provide? A: It varies depending on the device or appliance. For more information, please refer to its brochure in the 'Specifications' section or check out the 'Running Times' section. Q: Where can I recharge this portable solar generator? A: This product can recharge through AC outlets with its built-in AC charger or you can recharge it with solar energy using the included 80 watt polycrystalline solar panel. Q: How long does it take to recharge this solar generator for homes, offices, RVs, mobile applications and disaster preparedness? A: It takes around 14.5 hours by AC power source and about 13 hours with the included solar panel. A: Yes, it does. 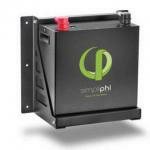 This portable solar power generator comes with a 1-year manufacturer's warranty.